Welcome back, #SteeleTweeters. It’s time again to revisit Remington Steele on your new favorite #Bond_age_TV series. 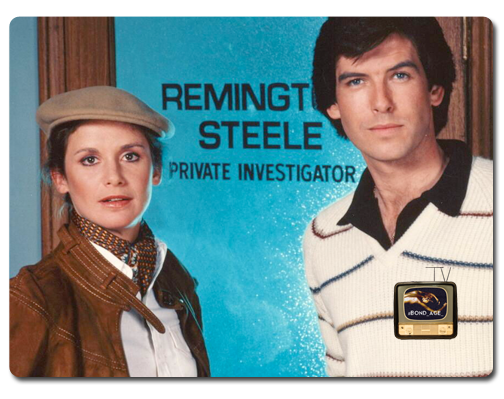 We rejoin Laura Holt and the mysterious “Remington Steele” with two more episodes from early on in the first season. As I scanned the list, refreshing my memory about the narratives from these episodes, I realized that there probably isn’t one episode of Remington Steele from the first two seasons I wouldn’t want to live tweet. 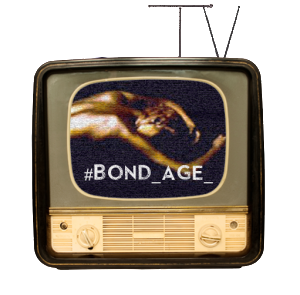 But if I followed through on that promise, I’d have to turn #Bond_age_ into #RemingtonSteele_age_, and we’d never do anything else. We’ll jump forward a few episodes after this block. With that in mind, we’re going to carry on with two episodes featuring choice co-stars and twisty narratives. First up is Episode 3 from Season 1, entitled “Steele Waters Run Deep.” This episode features Peter Scolari (start writing down your Bosom Buddies riffs now) and the classic 1980’s video game Centipede in a plot about a missing video game developer. Also, keep your eyes peeled for that North by Northwest reference. “Steele Waters” is also the first episode written by Lee David Zlotoff, the man who would go on to create MacGuyver in 1985. Next up is Episode 5, “Thou Shalt Not Steele,” an episode chosen because it features Pierce Brosnan’s first wife Cassandra Harris and a visit from Laura Holt’s meddling mother (played by Beverly Garland, a TV actress you might recognize from Scarecrow and Mrs. King and My Three Sons). Remington Steele and Laura disagree over whether to guard a priceless painting before a woman from Steele’s past reappears and asks him to “steele” it for her. Shades of Pierce’s foray into art theft in The Thomas Crown Affair. Also, visits from Laura’s family become more regular and more entertaining as the series goes on. A slightly more subtle Maltese Falcon reference may keep you on your toes. Join us Wednesday, July 6th @ 9pm ET for #SteeleTweet Vol. 2. Embeds for the above episodes will be provided. 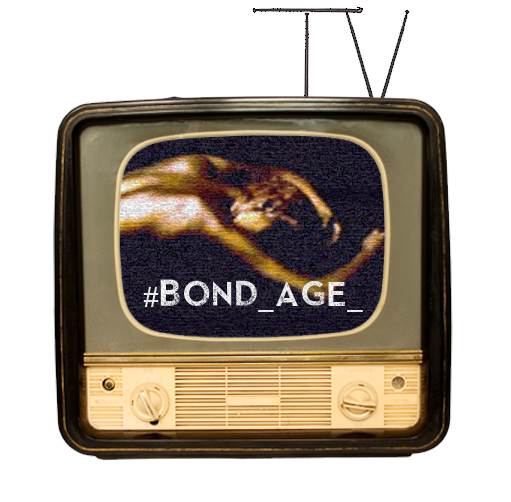 Follow #Bond_age_TV, supplement with #SteeleTweet.